National Sport Sales is a Manufacturers Sales Agency concentrating on the sporting goods market. 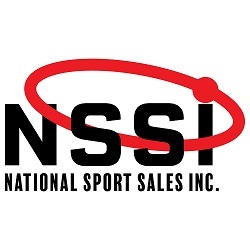 Based in Southern California NSS offers Nationwide sales representation at major sporting goods retailers, Mass Merchants, and Internet Retailers across the country. National Sport's Experienced Staff calls on a select customer base that includes most all of the major retailers that stock sporting goods. Our staff has experience in both sales and operations, so we can help you take that next step in dealing with the larger chains. Each staff member has worked inside manufacturers and distributors and has an understanding of the needs of each of our customers, and we can help you make sure you have the systems in place to perform at the level required by our customer base. Contact Mike Clark at 805-501-3534 to discuss your needs and to see if we can help you.